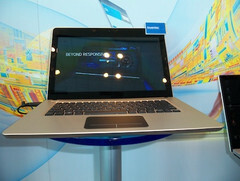 An Ultrabook is being also debuted by Inventec, an ODM popular in Taiwan during the IDF 2011 in San Francisco. 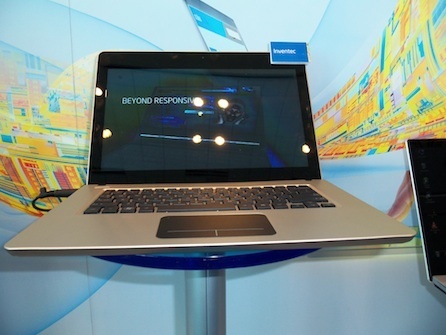 This 13.3inch model features Intel’s upcoming Ivybridge processor. This device provides a glossy 1366 x 768pixels of display in the 13.3” panel with a 1.3 megapixel webcam and a track pad of a decent size with an integrated mouse button. Other specifications till now as we have noticed contains two USB 3.0 Port, multi-card reader, a SIM card slot, an audio jack, HDMI port and an Ethernet port. Till now nothing has been mentioned about the release of the model.